Part 2 for The Coffeevine August 18 box, in this post I’ll only write about the coffee from Kaffa Roastery. In the previous post, you’ve been able to read about the coffee and also what I expect from the coffee. In this part, I’ll share my recipe for an awesome pour-over and Espro travel press as usual. As I was cupping Kaffa Roastery – Burundi Shimu I found a very lovely berry taste in the coffee. It was very sweet, but it was well combined with the acidity in it. Blackberry was most obvious through the coffee drinking experience. A powerful note of blackberry! 1) 40g blooming for 40 seconds, stir with a bamboo stirrer to get all of the coffee wet. 3) 100 g of water in a circular route that ends with a flow (approx. 10-15 g) on edge. The total brewing time of 1 minute and 50 seconds. A coffee with rich berry tones. I actually thought that Outpost Coffee would have richer tones of berry than Kaffa Roastery, but it was quite the opposite! It had a great blackberry taste which was really good combined with a blueberry muffin. By contrast, it did not have that distinctive coffee flavor as many seek, but very good on its own! If you have an Espro and a Pour-Over … What should you choose to brew with? As I wrote above, you get a more balanced cup with the Espro, you also get a great result every time as it’s impossible to make mistakes. Do you want your cup to show a bit of aromatics, brew with a Hario V60 etc. It becomes more spicy, aromatic and nicer on its own. This suited a lot better brewed with as pour over! 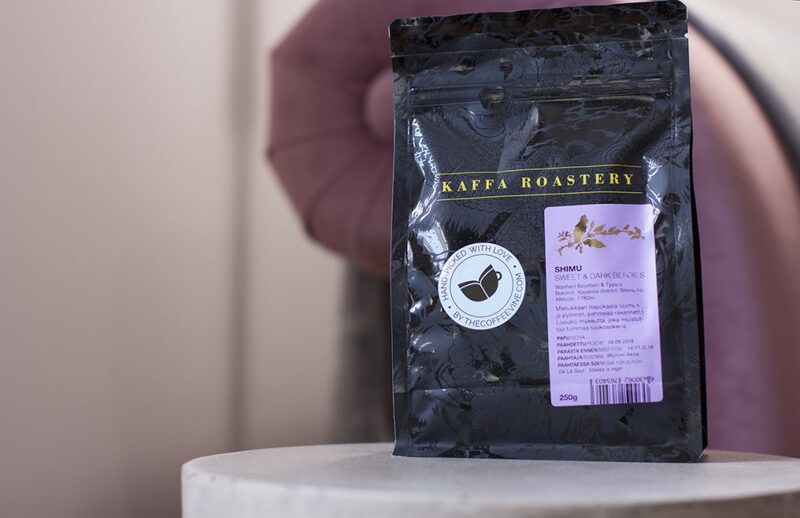 It’s interesting to see Kaffa Roastery from Finland, there haven’t been many Finnish roasters at kaffenytt.se. I hope this trend continues!